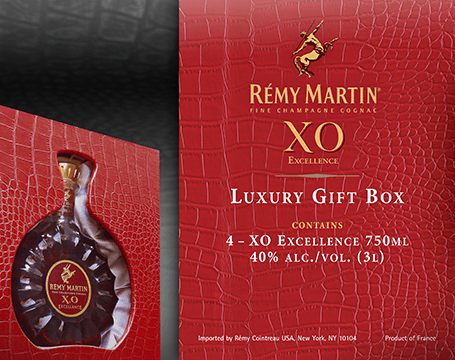 When you're among the ultimate in luxury brands, you need the ultimate luxury gift pack. 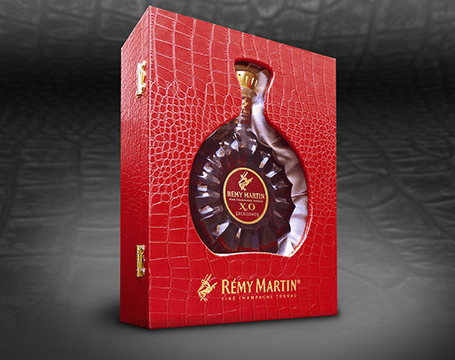 This Remy Martin XO "Excellence" gift case featured a solid wood substrate, quilted satin interior, plexiglass window, brass hardware and a faux alligator skin wrap in vivid red. 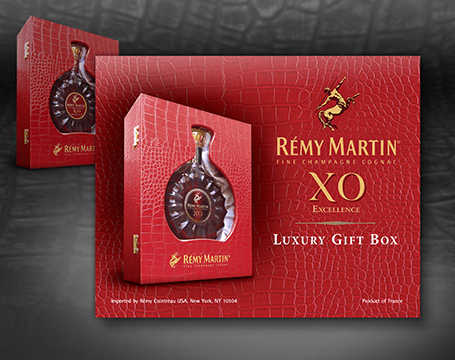 Page2 was tasked with product photography and the challenge of developing a rare full-color shipper that accurately reflected the sophistication of its contents.